In peacetime the Legion serves primarily as a garrison force — manning forts, patrolling roads, and providing guardsmen for towns, cities, counties, and nobles. They are empowered to arrest criminals and seize their property, among other things. In wartime, the Legion's responsibilities and powers are greatly increased. During conflicts, the Legion serves as an invading and occupying force, overwhelming opposition with numerical superiority and strict economy of force. The Legion is divided into structured and disciplined military units; the primary, and largest, of which is the Legion, which is further divided into Cohorts. Legions are numbered for identification, and each possesses a proud history and sub-culture. Of note, for example, is the 10th Legion, which was destroyed in the Imperial invasion of Akavir. The Shadow Legion consists of battlemages and focuses on the schools of magic. All facets of warfare are accounted for in Legionary operations, and the Legion employs large numbers of highly-specialized troops in conjunction with one another to achieve victory, among them archers, light and heavy cavalry, battlemages, and healers. Officers include sergeants, commanders, captains, centurions, legates, generals, and a grand marshall. Imperial organizations, such as the Imperial Society, requisition legionnaire support as needed for their endeavors. Tying into the Legion's versatility is its non-discriminatory policy of recruitment. The Legion recruits individuals of all races and creeds into its ranks and benefits from the diversity of skills they all bring (although men form the vast majority). The Legion's strict standards of recruitment choose candidates for service on the bases of endurance, soldierly virtue, and trustworthiness, among others. Service in the Legion is considered a model of Imperial citizenship, and as such requires a high standard of excellence. Legionnaires are typically expected to be at the peak of physical fitness in order to weather the rigors of melee combat and long marches in heavy equipment, demonstrate mastery of blades, polearms, and blunt weaponry, and have great skill in utilizing heavy armor as well as hand-shields. Legionnaires are specially outfitted depending on a large number of factors, including climate, location, task, and expectations. 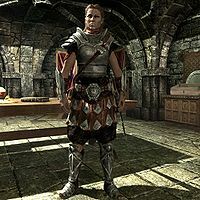 They employed armors of chain, scale, plate mail, and gender-neutral skirts in the province of Morrowind in 3E 427, heavy steel plate overlying chain mail in the capitol province of Cyrodiil during the Oblivion Crisis, and lighter leather, chainmail, and steel plate armors in Skyrim during the Stormcloak Rebellion. Battlemages tend to wear hoods, healers wear light padded armor, guardsmen on loan to nobles wear the vestments of their town, city, county, or hold, and rangers and foresters tend to wear fur or leather apparel in addition to their Legionary armor. In addition, uniform may vary depending on the culture of the local area or province. The first incarnation of the Imperial Legion arose under the Alessian Empire in the First Era, when it was known as the Alessian Legion. Legends speak of the legions led by Morihaus when the man-bull took the White Gold Tower. The Legion sprang from the hardy rugged stock of Colovia and the sophisticated battlemages of Nibenay. United, the warriors of Cyrodiil were a force to be reckoned with. The Alessian army spent most of the third century of the First Era securing Alessian control over Cyrodiil, slowly overcoming Ayleid holdouts despite their magical prowess and often ingenious tactics. The Alessians fought many wars over the course of the First Era; many cultures have legends speaking of the seemingly unstoppable legions of Empress Hestra circa 1E 1030. Nevertheless, the Legion's fortunes have always waxed and waned along with the Empire. When the leadership of the Alessian Order succumbed to internal squabbling, the War of Righteousness began, a decade-long civil war which no doubt pitted legionnaire against legionnaire. 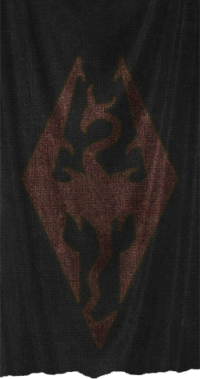 Once the province was reunited again under the god-hero Reman I circa 1E 2703, his legions spent the last two centuries of the First Era reestablishing an Empire of Man in Tamriel. The Imperial Legion as it is known in modern times first appeared under the Second Empire, thanks to the influence of the Akaviri Dragonguard. Their weaponry, methods, and rigid discipline turned the Imperial Legion into the unparalleled fighting force which was able to conquer every region of mainland Tamriel (save Morrowind). By the end of the era, the Summerset Isle was the only modern-day province which had no Legion presence. Under the Akaviri Potentates at the beginning of the Second Era, the Imperial Legion achieved something unthinkable: they became the only fighting force in the Empire. In 2E 283, when faced with widespread rebellion, Potentate Versidue-Shaie declared martial law, demanding that all of his vassals dissolve their armies. After thirty-seven years and enormous sacrifice, the Imperial Legion had quelled all who did not obey, wiping out any organized resistance to them within the Empire. They were the only army in the land. During the Interregnum of the Second Era, after the dissolution of the Second Empire, the Imperial Legion became the instrument of various warlords in Cyrodiil, notably the infamous Tharn family. Many disparaged the Legion around Tamriel during this time, claiming that it no longer exemplified the superb qualities it had in the past. At the beginning of the Planemeld, all Legions were recalled to the Imperial City,, but many couldn't make it to City Isle and instead set up isolated camps throughout the Heartlands as the Alliance War raged around them. Legionnaires who were in the Imperial City when the Anchors began to drop were given the option to swear fealty to Molag Bal by drinking the "Blood of Coldharbour", a poison that would slowly turn the imbibers into Mind-Shriven. Many instead chose death, but those who turned traitor formed a new regiment called Legion Zero. Legion Zero cooperated with the Xivkyn occupiers, and transformed the Elven Gardens District into a workshop for constructing siege equipment for the Daedric forces. Elsewhere in Tamriel, Legion troops under the command of the Tharns became engaged in relatively minor campaigns to annex surrounding regions, with little long-term success. Circa 2E 582, Colovian troops under Javad Tharn entered Aldmeri Dominion territory in a failed attempt to annex the Reaper's March region south of Colovia. Under Magus-General Septima Tharn, the Seventh Legion became engaged in operations across much of Tamriel, often with very little support. Circa 2E 582, the Seventh Legion entered Daggerfall Covenant territory in a failed attempt to annex Bangkorai. The Legion's leadership was encouraged to act ruthlessly, and they often engaged in abductions, as well as summary executions of disloyal soldiers, disobedient prisoners, or recalcitrant conquered civilians. In 2E 852, the Tiber Wars began, and nothing would ever be the same. In the dead of winter, General Talos led a small army from Cyrodiil to take the mighty fortress of Sancre Tor from the allied Nord-Breton forces which had occupied it. The Cyrodilic army was small, poorly trained and outfitted, short on rations, and unprepared for winter campaigning. And yet, the man who would become known as Tiber Septim led them to victory. The Battle of Sancre Tor was just the beginning in a renaissance for the Imperial Legion. Young men in Skyrim began to flock to Septim's armies. With his invincible General Talos, King Cuhlecain was able to unite the Colovian Estates in a year, and soon thereafter in 2E 854 took the Imperial City, taking the title of Emperor. He was soon killed, and Emperor Tiber Septim took his place. His ever-loyal soldiers solidified his hold on Cyrodiil and High Rock, and then targeted Elsweyr. The Legion suffered its share of tribulations while forging the Empire of Tamriel. In the Battle of Black Rocks in 2E 863, the Aldmeri Dominion almost completely destroyed the Third Legion, and the initially smooth annexation of Hammerfell the following year was disrupted by the Stros M'Kai Uprising. For a brief time during the Moth Rebellion, Tiber Septim was driven out of the Imperial City, and the Legion within the city was besieged. And Tiber's generals positively dreaded a campaign against the Dunmer of Morrowind (though they were spared from attempting to conquer the entire province thanks to the Armistice). One by one, the provinces were brought into the fold. The Summerset Isle has never been successfully invaded by the Legion, though they were reportedly more than capable of repulsing elven incursions. 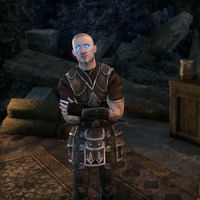 But finally, in 2E 896, Septim's use of the Numidium brought the homeland of the Altmer under his control, making him the first true Emperor of Tamriel. Under the Septim Empire, the Imperial Legion regained its reputation as a model military force. From Morrowind to the Summerset Isles, the Legion helped keep the peace. It had to manage a great deal of insurrection, the many major wars of the Third Era, and piracy, not to mention the disastrous invasion of Akavir circa 3E 288. They developed and maintained a system of garrisons throughout Tamriel, manning and supplying each in accordance with the threats they faced (though some questioned the significance of these threats given the exorbitant cost of maintaining this system). During this time, they were known for their close association with the Imperial Cult, which frequently provided services in their forts. The Legion maintained a strong presence in Morrowind throughout the Third Era, and it is believed that Dagoth Ur, before his defeat at the hands of the Nerevarine, was preparing for an extended campaign against them utilizing assassination and terror. During the Oblivion Crisis, the Legion mainly found itself engaged in a stalling action against the incredible onslaught of Mehrunes Dagon. Counts in Cyrodiil complained that High Chancellor Ocato was inordinately concerned with other provinces even as Oblivion Gates opened throughout the Imperial Province itself. 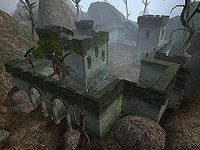 The denizens of Morrowind, and possibly other provinces, were perhaps even more frustrated, as the Legion was apparently ordered to secure regions around the border with Cyrodiil, protecting the Imperial homeland at the expense of all others. Following the Oblivion Crisis, the Imperial Legion steadily grew weaker. The Thalmor rose to power again in the Summerset Isle, and the Legion could not stop them from reforming the Aldmeri Dominion. The Thalmor eventually delivered an ultimatum to Emperor Titus Mede II demanding a series of enormous concessions. When the Emperor refused, the Great War began. During the Great War, the Aldmeri Dominion initially invaded deep into the heart of Cyrodiil, capturing Leyawiin and Cheydinhal rapidly before the Legion could mobilize an effective defense. More Dominion armies invaded into Hammerfell, bypassing western Cyrodiil entirely. When they realized the weakness of the Legion, however, the Aldmeri Dominion grew bolder and mobilized an offensive against Cyrodiil as a whole, intending to bring the entire Empire under their control. Quickly, Bruma and the Imperial City were the only cities which remained under Legion control in Cyrodiil. Meanwhile, the legions in Hammerfell were pressed hard and forced to retreat, leaving the entire southern half of Hammerfell to fall to the Dominion. The Imperial City itself came under siege. Though relieved by several legions of hardened Nord legionnaires, the Emperor ultimately gave the order to break the siege and abandon the city. An entire Legion sacrificed itself to defend the Emperor's rear. At this time, the Imperial Palace was sacked, plundered, and burned. The Aldmeri Dominion began seeking an Imperial surrender. While the Emperor strung them along, he recalled all the legions defending Hammerfell and rearmed and refreshed the Skyrim and Cyrodilic legions. The legions from Hammerfell left a considerable number of veterans behind as they returned to Cyrodiil, successfully duping the Thalmor into believing the entire army was still fighting them there. The Emperor stormed south with his refreshed legions as the Hammerfell legions came in from the west. The Aldmeri Dominion, caught by surprise, was attacked by the Hammerfell legions from the west, while the Skyrim legions swept east and south and the Emperor, along with his personal Cyrodilic legions, assaulted the Imperial City, surrounding it on three sides and fending off Dominions piecemeal reinforcements and blocking their retreat from the Imperial City. They retook the Imperial City and all of Cyrodiil. In the End the Legion was victorious, though exhausted, no Legion had more than half its forces fit for duty, and Two Legions of soldiers had been effectively annihilated, not including the loss of the Eighth Legion in the retreat from the Imperial City the previous year. But the Emperor believed that with this victory was the best time to negotiate peace with the Dominion and put an official end to the war, resulting in the White-Gold Concordat being signed, which essentially gave in to all the Thalmor's initial demands. Hammerfell, however, was unwilling to concede defeat and the loss of so much of their territory, and so, in order to preserve the Peace with the Dominion, the Emperor officially renounced Hammerfell as part of the Empire. Unfortunately, the Legion's woes were not yet at an end. In Skyrim twenty-five years later, with the ascension of Ulfric Stormcloak to the Jarlship of Eastmarch and the death of High King Torygg at Ulfric's hands, civil war broke out. The Imperial Legion was forced to fight in Skyrim against many warriors who had previously been legionnaires themselves, weakening the Legion even further. The Imperial Legion was inspired by the Roman Legions who were the supreme military power in Ancient Europe. See here for early concept art. For game-specific information, see the Morrowind, Oblivion, Skyrim, and ESO articles. ^ Gray Fox, Man or Myth? This page was last modified on 21 October 2018, at 07:04.